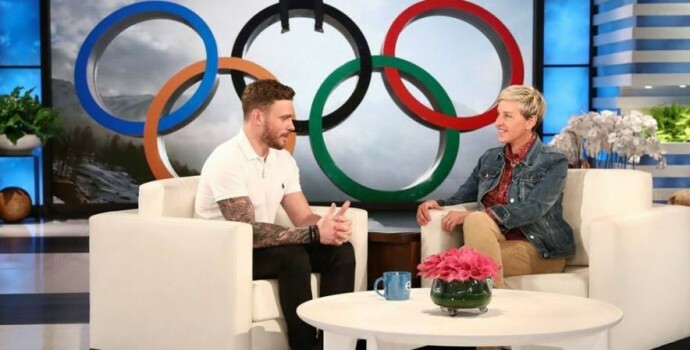 This essay by Gus Kenworthy on why he supports the Los Angeles LGBT Center was originally run on the Center’s Vanguard blog and was later published in their quarterly magazine of the same name. We here at Compete Magazine are happy to share it with you. From the moment I came out to ESPN three years ago, I made a pledge to myself to live my life authentically. When MeUndies asked me last summer to be a spokesmodel for their Celebrate Yourself fundraising campaign benefiting the Center, I didn’t hesitate. It gave me a chance to use my media platform to support a good cause—the Center stands for everything I believe in. For instance, we both speak up when we must. During the Winter Olympics in Pyeongchang, my social media was flooded with people wishing me failure because I publicly supported Adam Rippon’s stance against Vice President Pence leading the U.S. delegation. The Olympics is about inclusion, and Pence is very vocally anti-LGBT. He’s supported conversion therapy and is part of an administration determined to set our community back. Then, when television networks aired a clip of me sharing a kiss with my boyfriend, people said things like, ‘I don’t care what you do behind closed doors, but don’t put it in my face.’ My kiss isn’t about shoving it in people’s faces—it’s about us simply existing. And I had no idea our kiss would be broadcast. What people don’t realize is that I, all of us, witness affection between heterosexuals all the time. The Center has stood up for the existence—not to mention the health and well-being—of LGBT people for almost 50 years. They work every day to provide food and housing to homeless youth, enrich the lives of seniors with social activities, and improve the quality of life for people living with HIV or AIDS. And they don’t remain silent while our community is under attack, whether it’s the administration trying to ban transgender people from serving in the military or not protecting trans students or when it gave health care workers the ability not to treat us because of their personal feelings. Progress in the LGBTQ movement doesn’t happen when we remain silent. For me, this year’s games felt amazing because I was able to be myself. It was an honor to represent our country as an out and proud athlete. I hope the encouragement I received throughout the games will inspire other athletes to come out, too. And I’m proud to be from a country where I can speak up and where organizations like the Center can exist. Together, we’ll continue to be a voice in the LGBT movement for those who can’t. Because doing anything otherwise is un-American. Two-time Olympian freestyle skier Kenworthy won a silver medal at the 2014 Winter Games in Sochi and recently competed in the 2018 Winter Games in Pyeongchang. Follow @guskenworthy on Twitter and Instagram.